Arriving at the beautiful island, the sandy clear water beaches and the loads of snorkeling holiday crowd was calming, well, whatever happens, I’m going to have to atleast enjoy the beach and the beauty I said. 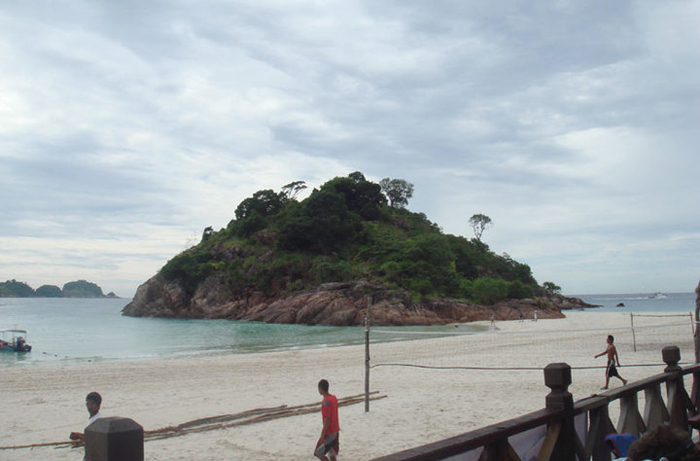 Snorkeling and diving seemed to be as routine as dinner and laundry at the Redang Bay Resort, everything was going like clockwork. Tanks were stacked up, filled, used and recycled after each dive, neatly organised areas for cleaning and storing wet suits and other gear. Very neat! The orange of the life-jackets seem to hit you wherever you turn, it was like being swamped by a horde of orange birds. 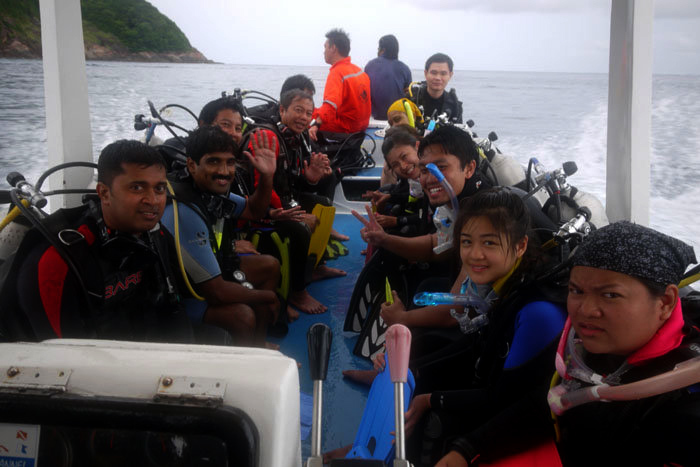 Amidst them, now and then were little specks of black, as scuba groups walked in after their shore dives or boat dives. For us, there was going to be 2 shore dives and 2 boat dives, for my certification and 1 additional shore dive as a special package. At our instructors signal, we started to descend, I gingerly squeezed out the air from my BCD, I almost did not want to release out that life-giving air, feeling the chills again. The air pressure hose and the air pressure gauge were the most used objects in my first dive, claimed my very amused instructors later. 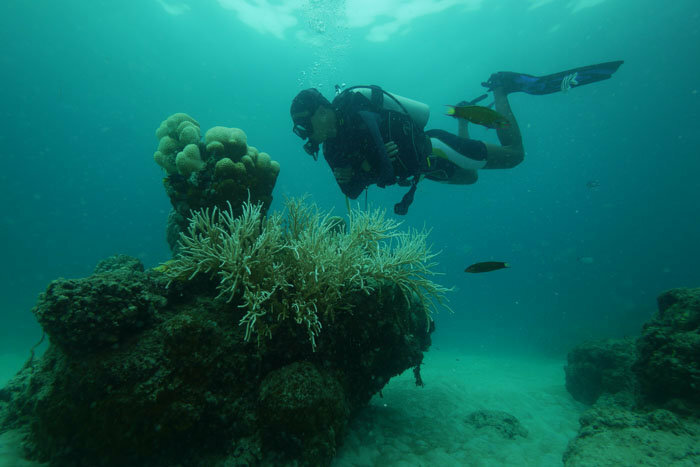 After the first 2 minutes, it was exploration all the way, no major fears, just deep breathing, and looking all around you, of course, glancing every 2 minutes at your air pressure gauge also happens… make allowance for it… it’s your first open water dive. A bit of a wake-up call then, to perform the skills we did in the pool sessions, here and now. Again, here there was a much calming effect than the pool, probably because there’s more to occupy your senses… than panic. Images of Nat Geo and movies you had watched come to memory, so this is how it is, underwater, zero-gravity-like feeling, and you can actually enjoy it… after a bit. Shore dives done then, some amusing moments and ‘stunts’ happened, which provided a lot of entertainment to my buddies… and back to the surface. Wow, my first dive in the sea….I was impressed! Ah! Yes! Yippee!! The world below the surface, spectacular! One more shore dive later, the next day, came the boat dives. Our destination, a few kms out in the open sea to a small wreck site called Bahagian wreck. The thought of the back flip was uppermost, everything else under control, this was going to be only the second time doing it… and here was the real thing, 60 ft deep waters, falling head first into it… nervous in the boat as we sped to the location, trying to smile for the camera. The presence of everyone and the cheerful banter was calming to tightly stretched nerves. One by one, divers were flipping… my turn came… those last few seconds, I was hearing voices saying, ‘no, don’t do it, its scary’,… but, with a deep breath I flipped, that one second as I hit the water and went in, was terror…. next thing I knew, I was up in the water, head first… how that happened I never knew, but wasn’t it great it or what? 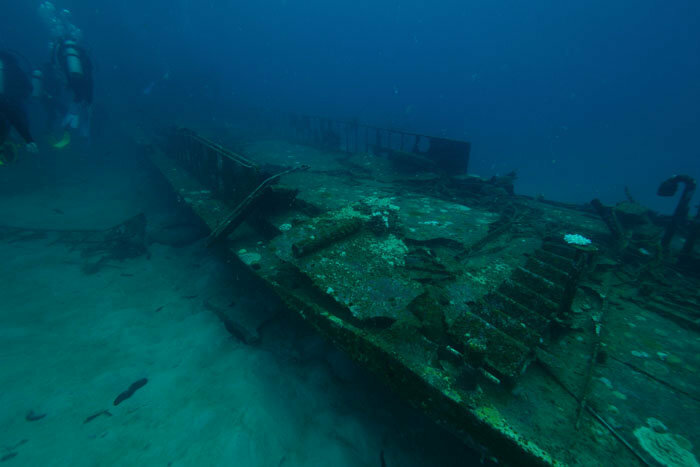 The next 5 minutes was pure fantasy, here the water was more clearer than the shore, you could see the wreck from the surface itself, and soon you were descending, now you can actually see the depth gauge move, 5 mts – 6… 7… 15… 16 mts. Trying to grab the rope or line as its called, quite thrilling as it swayed with a life of its own… forget the line, just descend slowly… And wow, you can feel the water pressure, all the theory lessons of equalizations came flooding back. It is so very essential, you can almost feel your eyes and ears squeezing inside if you don’t equalize in time. 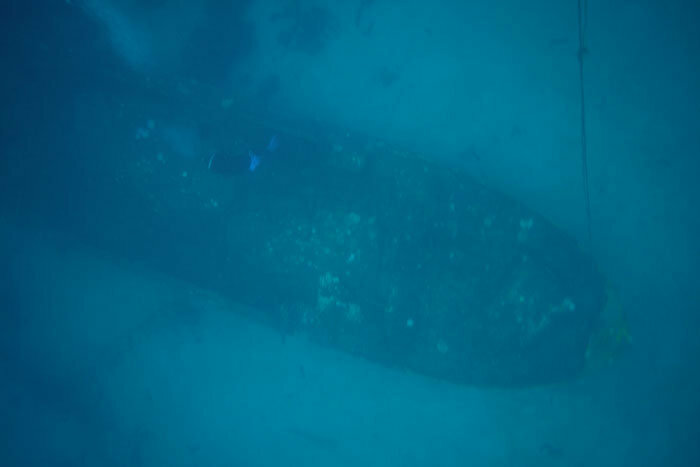 Every few feet, equalize as you get comfortable and almost glide onto the sea floor beside the wreck. That’s it, touch down, and what a feeling!! I had to do this again, I can do this again, I want to do this again, I want to be a Divemaster and Dive Instructor! 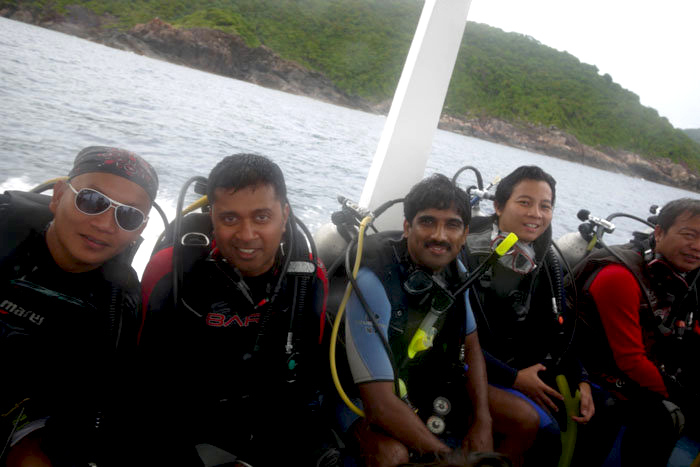 Scuba diving is quite a thrill and may be addictive once you begin to enjoy the experience. To get off to a great start, it is essential you take your Open Water Course with a well-known, experienced dive shop. 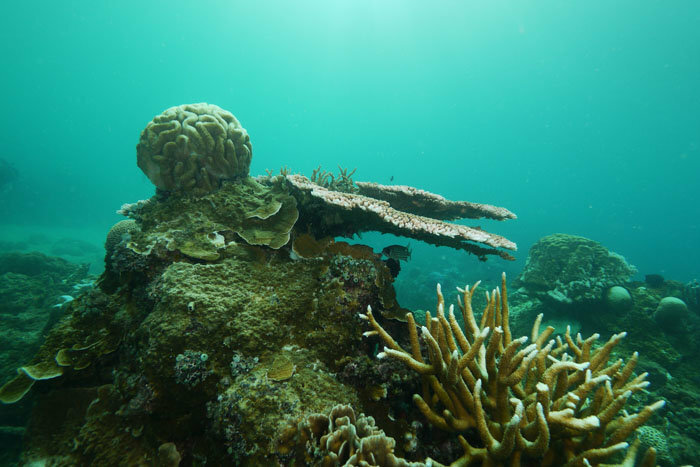 The Open Water dives also has to be in a conducive area with clear waters, good coral life and aquatic activity. 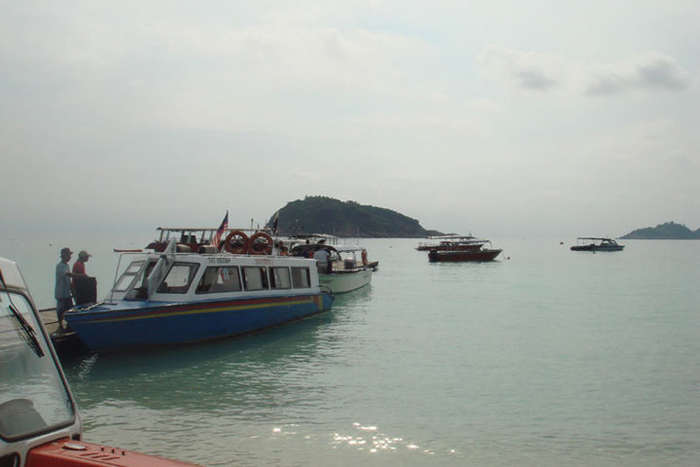 So it is a good idea to go to the better dive locations like the east coast in Malaysia which has about 3-4 island dive locations or Thailand, which also has a few great spots also with world class education facilities with tens of dive shops along the coastline and around its many islands. 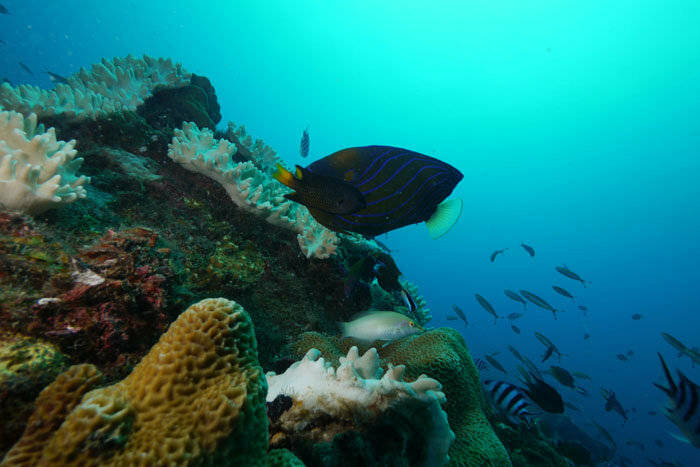 In India, the Andaman islands are the best, with dive locations in Havelock, Andaman Islands, being the more famous ones. Pricing is almost on par in most dive shops irrespective of location anywhere in South East Asia, the cost variables will be mostly be on the accommodation package. 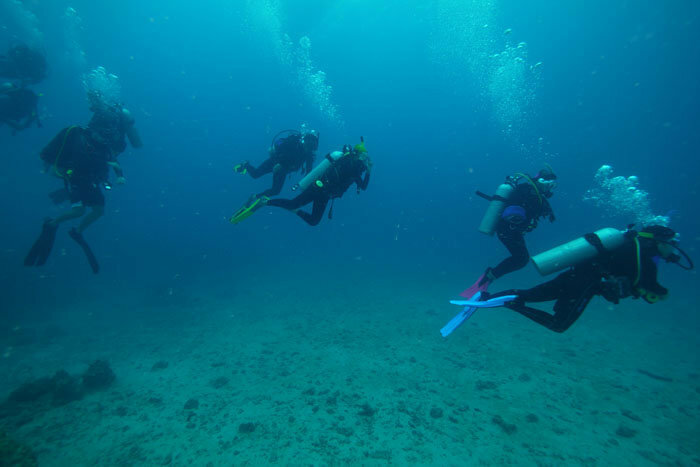 Though every instructor will teach more or less the same curriculum, the learning process can be made more interesting or less, depending on the instructor and the atmosphere created by the dive shop. It is more fun when you are in a group of about 5-10 students getting certified together and have a nice socializing opportunity over the 3-4 days you are together, than being alone or a couple of you in some obscure location.